I am so honored to have one of my Quilted in Honor pieces traveling as part of the Quilted in honor tour this coming year! My "Capitol Stars" is a free pattern too! Island Batik developed a beautiful line of Patriotic Batiks with part of the proceeds going to Operation Home front that supports our troops and their families in many ways. I have never had a quilt hang in the Houston Show, this is my first! My friend Roberta helped me put it together and Cindy Dickinson of PinkPaw Studio did the quilting. It was a wonderful group effort and my friends did such a beautiful job! I will be at the Houston Festival from Wed night through Saturday when the show ends. 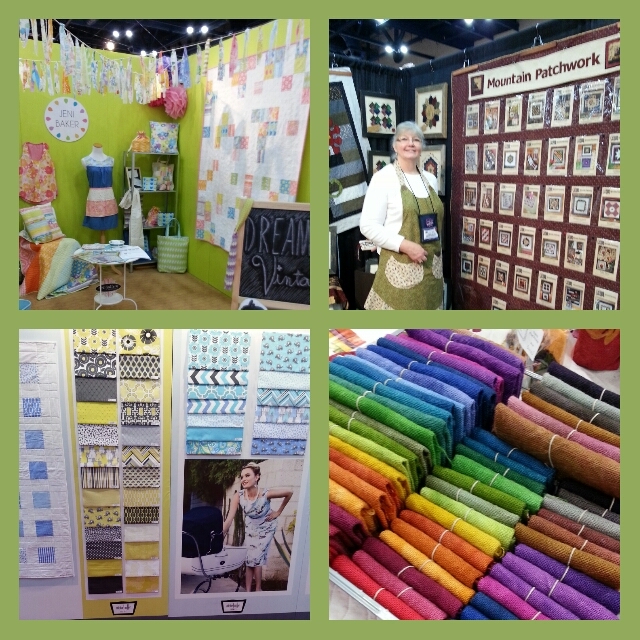 I am working in the Aurifil booth in row 900. 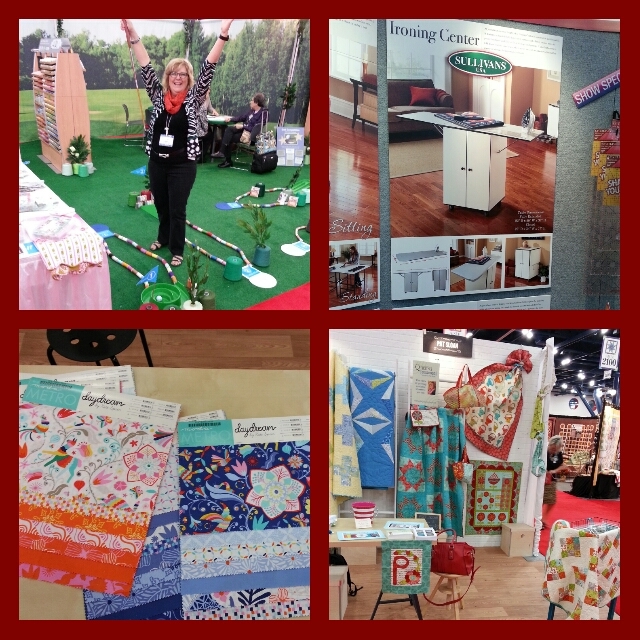 Aurifil has created a special Quilted in Honor Thread kit and you can get one at the show! PLUS come see me.. I'll be doing a thread chat and you can challenge me at Putt Putt golf.. you might win a spool of thread! Some photos from yesterday. .can you guess how many trys it took me at Aurifils put-put golf game? If you are at Festival come see if you can beat me! 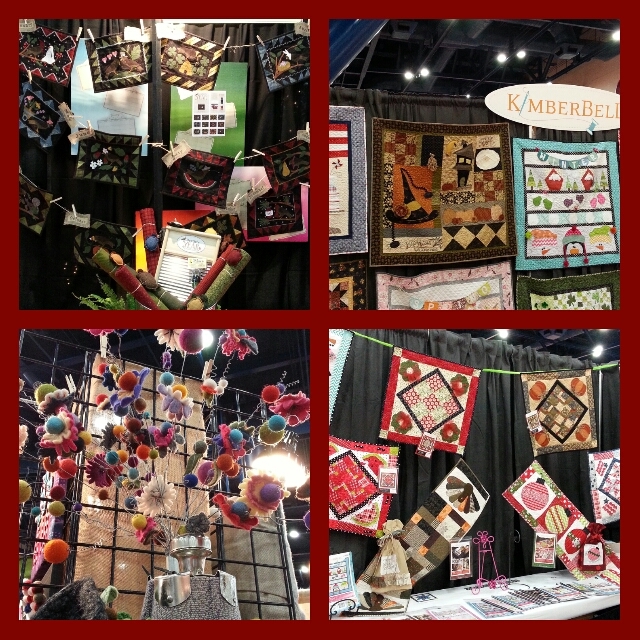 On the show today hear a bit about how Sherry Reynolds made her Award winning Quilt "America Let it Shine". Then Melody Miller has a reveal that is super exiting! Caleb and I talk about his company Island Batik and the Quilted in Honor program. Join me at 4pm .. podcast is available later in the evening! Be sure to CLICK HERE to catch up on my prior shows! Just scroll PAST the show description until you hit the "Disco Ball". Once that comes in the player is there! began in October 2010, and roughly 1000 hours later, in September 2011 it was completed. My quilt is a tribute to America and its’ foundations and values, with the hope that they will guide us to a brighter future. 235 represent the years America has been a country. In a circular fashion around the center medallion I also quilted part of the Preamble to the Constitution We the People of the United States…establish Justice, insure domestic Tranquility, provide for the common defense, promote general welfare and secure Blessings of Liberty to ourselves and our Posterity. As well as part of the Declaration of Independence: We hold these truths to be self-evident. That all men are created equal. That they are endowed by their creator with certain unalienable rights. That among these are Life, Liberty and the pursuit of Happiness. The 13 original colonies are represented by using 13 points on the outer blue rays and red triangles. The 50 states are represented with the ring of 50 stars around the center mariner’s compass. I also wanted to include something modern and chose to quilt words to the song “Proud to Be an American” by Lee Greenwood across the hanging sleeve. 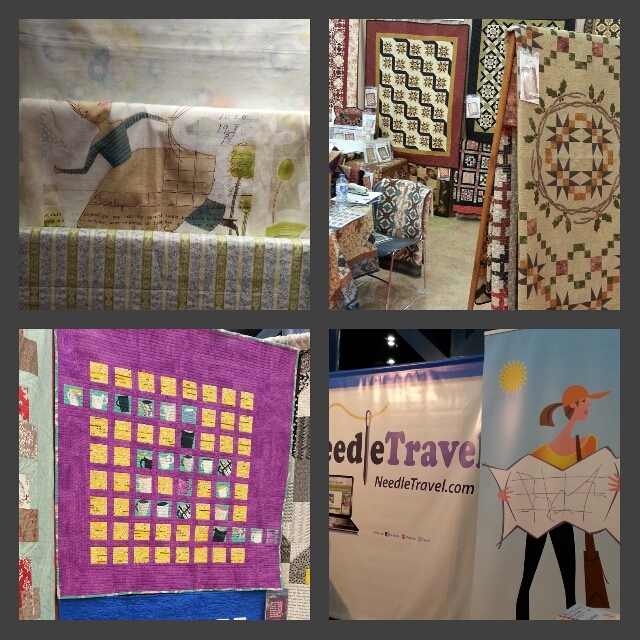 Visit this blog for some great detailed photos of the quilt .. and I'll be doing a blog interview soon with Sherry to compliment this radio show! 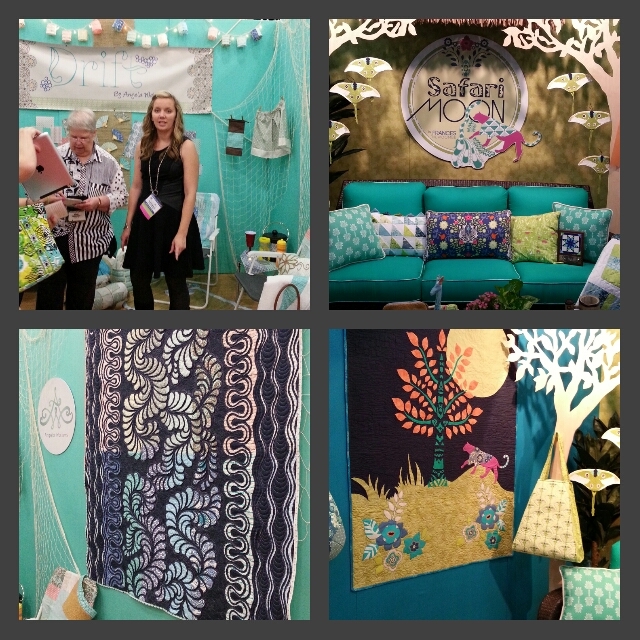 The first time I saw Melody Miller's fabric I was stopped in my tracks. I love the styling (retro) and the colors (fun) and her asymmetrical layouts rock! Right now I have one of her pieces up high on my design wall .. it's kind of Rockabilly and I love it. Even my brother was like .. wow.. look at THAT fabric! I asked Melody to join me today to chat about what she is doing in the world of fabric design.. you are going to love it! Caleb Willis is the president of Island Batiks and the inspiration behind Quilted in Honor. 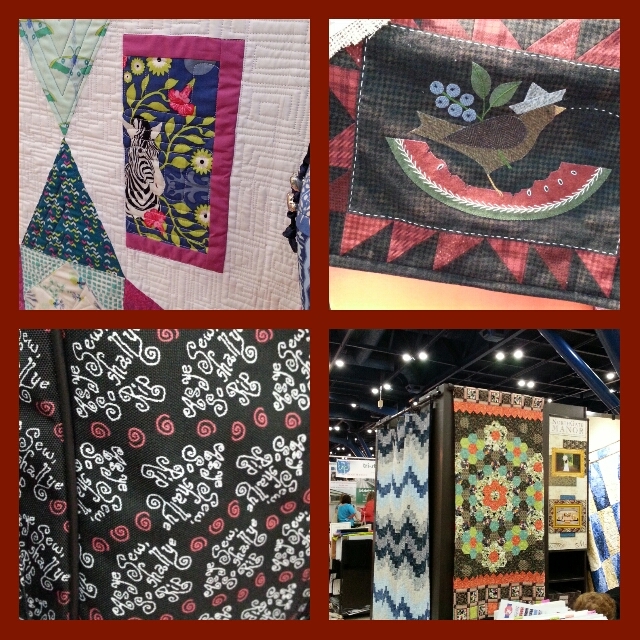 Island Batik has a huge movement called Quilted in Honor to support and raise funds for Operation Homefront. I'm very proud to be a supporter by deigning 2 quilts for this project. Caleb is going to tell us about Island Batik and Quilted in Honor today.